Pudalangai Bajji (or Snake Gourd Fritters) is a popular teatime snack across South India. Simple and easy to make, the snake gourd pieces are dipped in a batter and deep fried until crispy and golden brown. Best served with a chutney of choice. 1. Cut the snake gourds into thin/medium rounds and discard the inner seeds. 2. Mix the rice flour, gram flour, red chilli powder and ginger garlic paste in a bowl. 3. Add enough water and water. 4. Mix well to a thick pourable batter. 6. 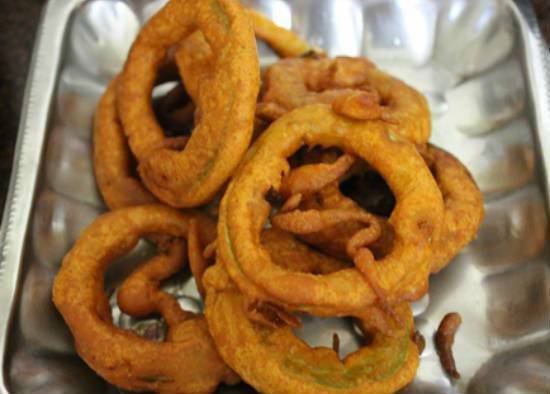 Dip the snake gourd rings in the batter, shake off any excess and add to the hot oil. 7. Deep fry until golden brown and remove from flame. 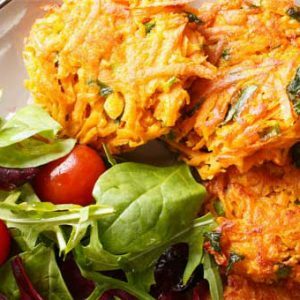 Feel free to comment or share your thoughts on this Pudalangai Bajji Recipe from Awesome Cuisine.